Clayton Eshleman started his first magazine, Caterpillar, in New York City in the fall of 1967 — the very same moment I moved from Europe to the US. It wasn't until some time in late 1968 that the magazine was brought to my attention, either by Robert Kelly, with whom I was working on Paul Celan translations at Bard College, or by Thomas Meyer, a student like me at Bard. Caterpillar very quickly became the essential and most useful magazine for me in the process of absorbing American poetry and tentatively taking steps toward formulating a poetics of my own. (Not that I didn't enjoy the New York school mags, but so much of that poetry had its roots in European, specifically French modern poetry — something I had left Europe to get away from as at least in it place of origin it had become stale by then). The "Caterpillar poets" — or what I came to call the "original Deep Image" poets — on the contrary were developing a process-based poetics with deep roots in American modernism, the Pound / Stein line that led to Olson, Duncan, Zukofsky via the then nearly disappeared Objectivists. If I had come over enamored of the Beats — it was certainly on the energy of their magic carpet that I had ridden over from Europe, though I had bought the Cantos shortly before embarking for America — it was in the poets I now discovered in Caterpillar that I found the depth of concerns and then formal experimentation I realized was necessary for a poetics that tried to be fully aware of both the internal mental/spirituals and the external political / cultural travails of that period. By the time Caterpillar ended in 1973, I was living in London, and I felt its demise like a serious blow. Eshleman returned with a vengeance, creating SULFUR, seven years later, in 1980/1981. (Not necessarily lean years, as much else was happening magazine & publication-wise in the mid to late seventies, if I may mention my own SIXPACK in London , as well as Allen Fisher's various SPANNER incarnations or Eric Mottram's short-lived but powerful editorship of the POETRY REVIEW, or, in the US, the emergence of L=A=N=G=U=A=G=E & associated publications, or Jed Rasula & Don Byrd's WCH WAY — to name only these, here, quickly as this isn't the moment for a historical overview of magazines...). But for my money (mind would be a better word) SULFUR became the essential magazine I went to over those years wherever I was living, whatever I was doing, i.e. writing or translating from the poetries of various cultures. I can't think of any English-language magazine (nor, come to think of it, of any French, German or Spanish-language magazine) that, while continuing the investigation of US poetries began in CATERPILLAR, presented a wider, fuller, richer array of international poetries and poetry-related work. And I don't mean "international" in that vague sense in which various magazines would publish whatever foreign-looking language object came across their desks if translated into basic free-verse fully comprehensible English after removal of any trace of kulchural strangeness & furriness that could have irritated the all-'merican reader. There was an energy, a freshness and a seriousness to Eshleman's project that said to the reader: this is not a matter of entertainment, of art-as-aesthetics, this is a matter of life and of how poetry (and art) can teach us, in Blake's words, to cleanse the doors of perception & thus widen our knowledge of the real — the "inside real and the outsidereal," to use Ed Dorn's formulation. The anthology of that incredible adventure, as edited by Clayton Eshleman and published by Wesleyan, is a superb 650-page walk through the 46 issues of SULFUR. A treasure trove. For the names of the included, see below. For full disclosure I should say that I published poems & translations in Sulfur & also have work in the anthology. From 1981 to 2000, Sulfur magazine presented an American and international overview of innovative writing across forty-six issues, totaling some 11,000 pages and featuring over eight hundred writers and artists, including Norman O. Brown, Jorie Graham, James Hillman, Mina Loy, Ron Padgett, Octavio Paz, Ezra Pound, Adrienne Rich, Rainer Maria Rilke, and William Carlos Williams. Each issue featured a diverse offering of poetry, translations, previously unpublished archival material, visual art, essays, and reviews. Sulfur was a hotbed for critical thinking and commentary, and also provided a home for the work of unknown and younger poets. In the course of its twenty year run, Sulfur maintained a reputation as the premier publication of alternative and experimental writing. This was due in no small measure to its impressive masthead of contributing editors and correspondents: Marjorie Perloff, James Clifford, Rachel Blau DuPlessis, Keith Tuma, Allen Weiss, Jed Rasula, Charles Bernstein, Michael Palmer, Clark Coolidge, Jayne Cortez, Marjorie Welish, Jerome Rothenberg, Eliot Weinberger, managing editor Caryl Eshleman, and founding editor Clayton Eshleman. A Sulfur Anthology offers readers an expanded view of artistic activity at the century’s end. It’s also a luminous document of international poetic vision. 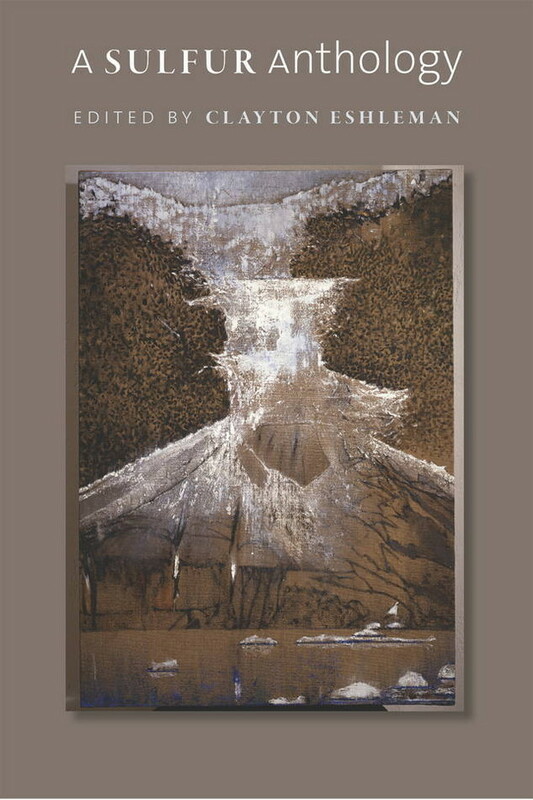 Many of the contributions have never been published outside ofSulfur, making this an indispensible collection of poetry in translation, and poetry in the world.